The Baharal family name is a Hebrew acronym for B'nei Harav Leib – בהר״ל; the Yiddish version of the acronym is Baral (B'nai reb Leib) – בר״ל. 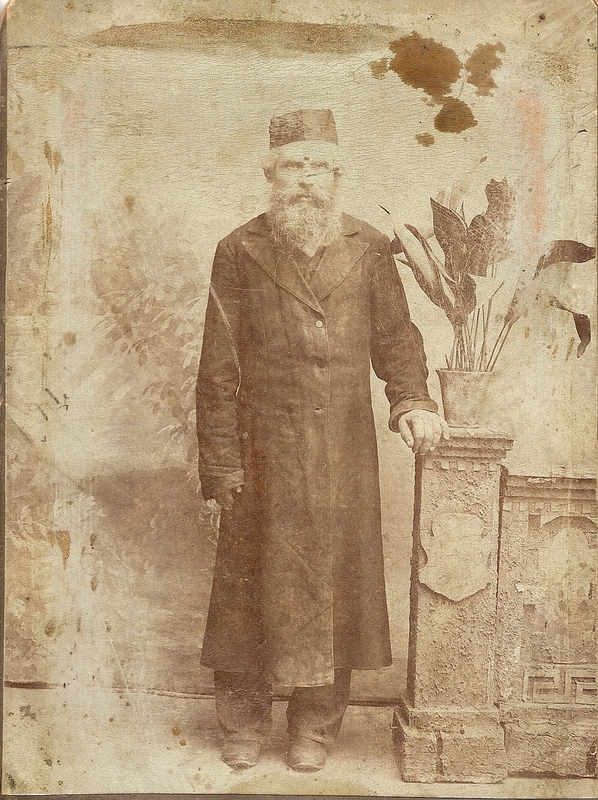 The surname originates with a family ancestor – Reb Leib Sarah – who was a disciple of the Bal Shem Tov and a descendant of the Prague Maharal (Judah Loew ben Bezalel, Talmudic scholar, mystic, philosopher, and 16th century founder of the great Talmudic Academy of Prague – the Klaus ). 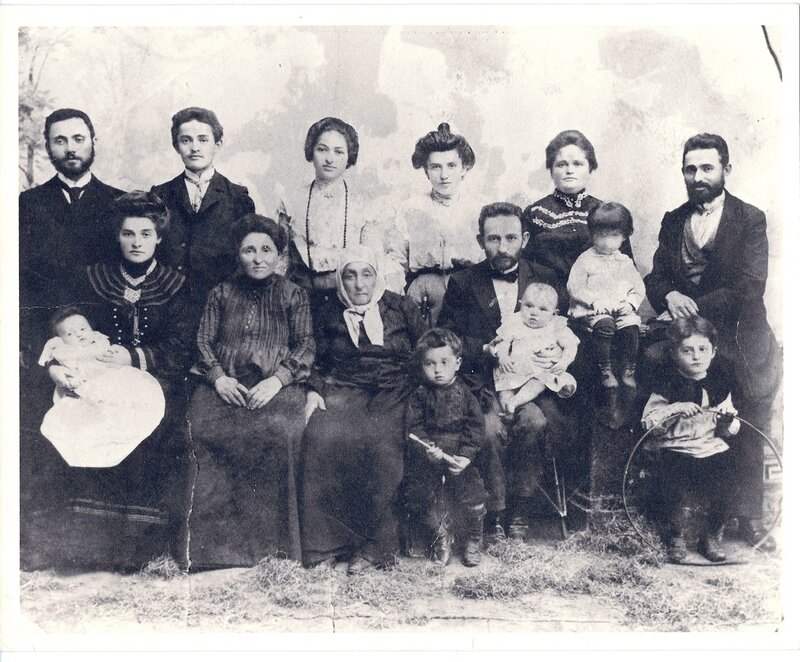 Several members of the Shlomo & Batya Baral family appear in the above photo, taken in Rovno in 1925. (murdered, along with his parents Shlomo & Batya); Pola (youngest surviving child of Shlomo & Batya); Israel Baharal (oldest son & president of the IGUD bank of Palestine), standing behind his wife Tzivya. Not shown are two daughters: Frida and Tema. The former was married to Mordechai Rasis; they were childless. The latter was married to Meir Kudish, a founder of the Tarbut School in Rovno. They had a son (Julik?) who was studying medicine when he was drafted into the Soviet Army during World War II; he was killed in action in 1942. 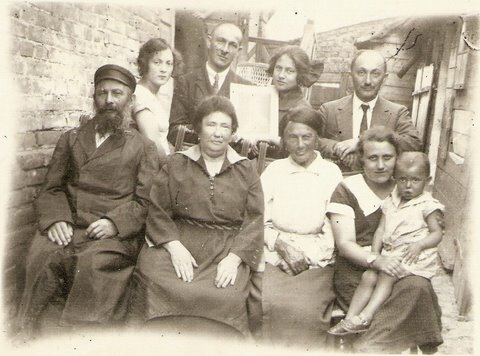 (L-R) front: Sosie Vollach Kushner holding son Chaim; Miriam Vollach; Miriam's mother; Hymie Vollach; Zeivel Vollach holding son Joseph; Reuben(?) Vollach; Tom Vollach (parents: Etta & Beryl). (L-R) rear: Nachman Kushner (Sosie's husband); Tom Vollach; Baila Vollach; Chai Dvera (Zeivel's wife); Etta & Beryl Vollach. The Vollach family emigrated to Winnipeg, Manitoba, Canada where the family name was changed to Wolch. Not shown in the photograph are Yehuda Leib, Joseph, & Fred, who were in Winnipeg. (top, left): Gershon Gorenshtein is the son of Eliyahu and Zlata née Choronziec Gorenshtein. 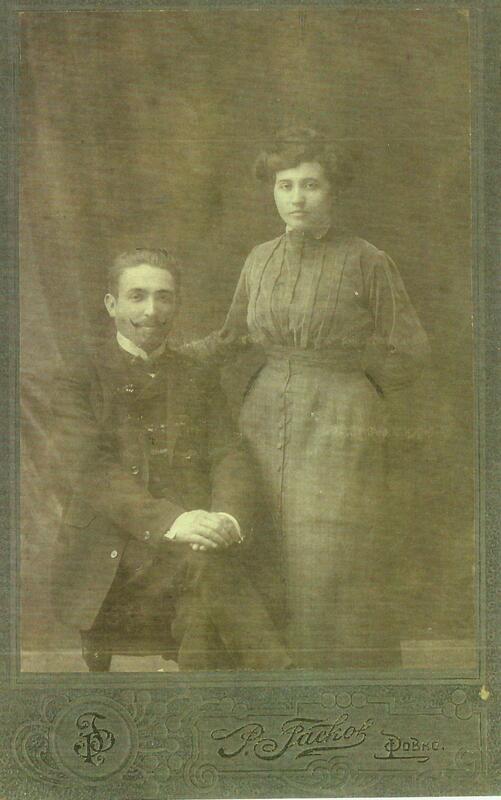 Gershon married Rachel Shnil (1913 - 1942) of Sarney. They had a son Moses (a.k.a. Mish) who was born in 1940. Gershon was a scholar and was conversant in several languages. He studied at the Tarbut Gymnasium and was an active member of the Gordonia youth movement. While living in the ghetto Gershon worked as a translator. 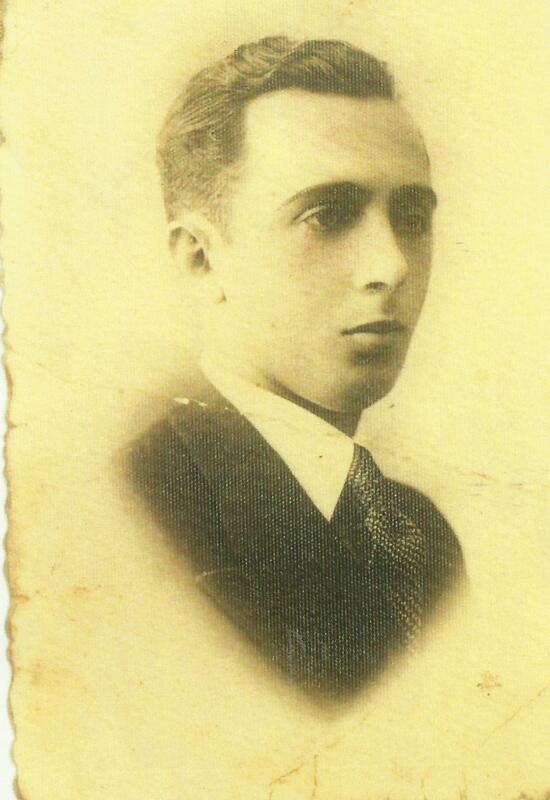 Gershon and his family were murdered on or about 9 - 11 November 1942 in the Sosenki Forest outside of Równe. 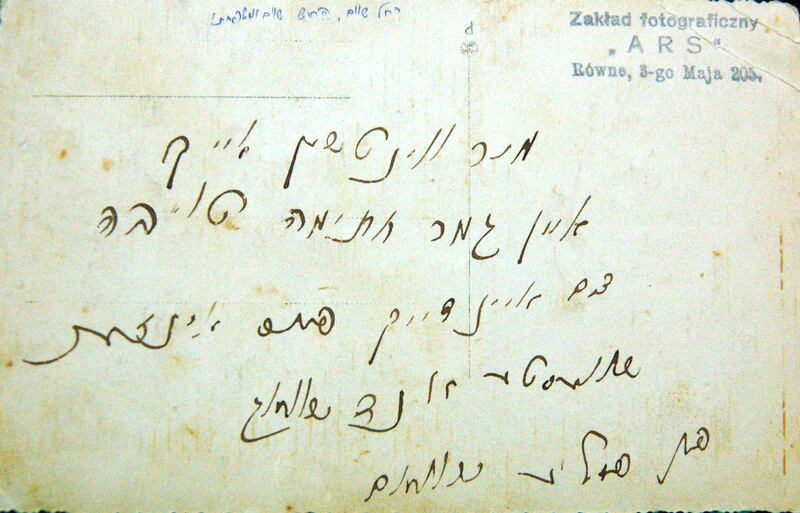 (top, right): Roza, whose maiden name is Gorenshtein, was married but her husband's name is not known. She had a son Jacob (a.k.a. Yasha). Roza was Gershon's sister. She and Gershon had a sister – Manya Teicher. Roza and her son were living in the Równe ghetto and were probably murdered in one of the forest murder sites near Równe. 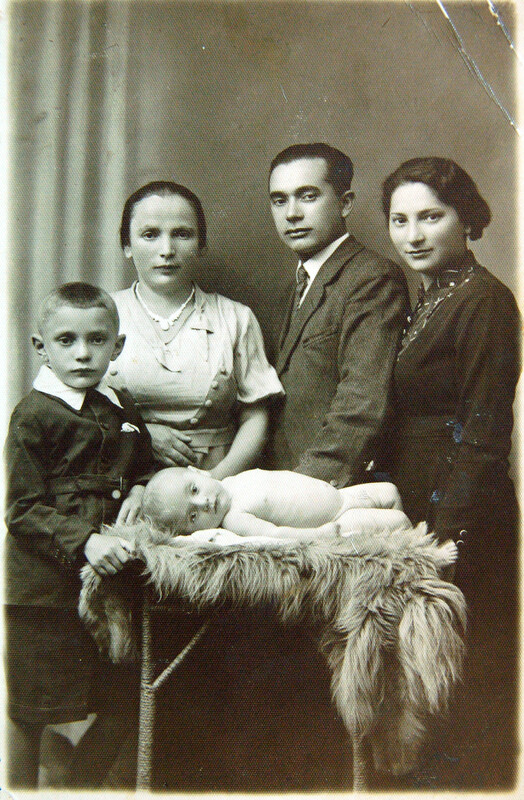 (above): In the photo, Eliyahu is shown with his sister D'vora Kraft who, along with her family, perished during The Holocaust. Eliyahu is the son of Moshe and Malka née Baharal Gorenshtein. Elia married Zlata Choronciez. The couple had three children: Gershon, Roza, and Manya (1921 - 2011). Only Manya survived The Holocaust. Elia also had a brother and another sister, Israel and Sara, respectively. 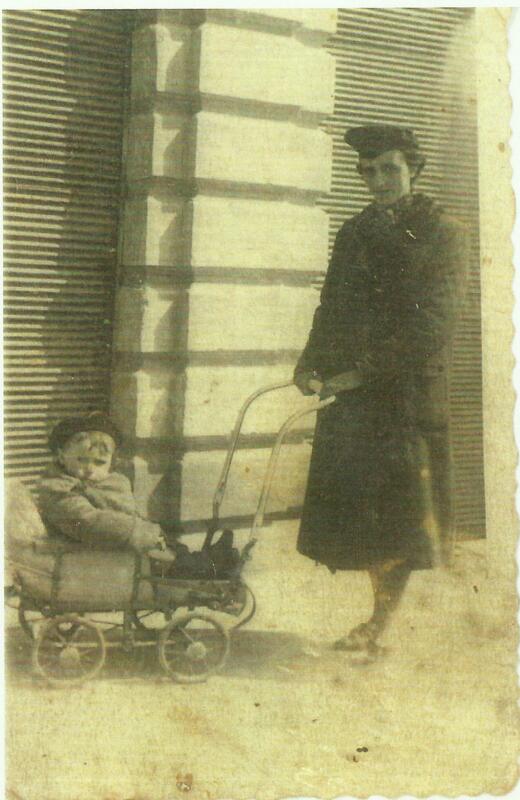 These siblings, along with their families, died during The Holocaust. Eliyahu was the owner of a store that sold newspapers, magazines, candy, and cigarettes. Eliyahu and his wife Zlata were murdered, probably in the Równe ghetto itself or in one of the nearby forests. Zlata Choronciez Gorenshtein's parents, Shimon and Bat Sheva; her sisters Chana and Sonja; and her brother Jacob, together with their families, perished during The War.